Jon Jones is inarguably one of the greatest fighters in MMA history. In fact, he might just be the best fighter ever. That being said, the last few years of his career, have not gone particularly smoothly. Although he has authored some incredible performances in that time, his success has been marred by several failed drug tests and several unfortunate brushes with the law. Of all the incidents that cast a shadow over his recent career, however, Jon Jones says there is one that he regrets most of all: his 2015 hit-and-run, in which he ran a red light and collided with another vehicle, injuring a pregnant woman in the process. Jones named this incident as his biggest regret on Ariel Helwani’s MMA Show on Monday (h/t Chamatkar Sandhu on Twitter). “My biggest regret out of everything, it was the hitting the pregnant woman in the hit and run, 4 years ago,” he said. While Jon Jones has not fought since summer of 2017, thanks to a United States Anti-Doping Agency (USADA) administered suspension, that will soon change. He’s set to return in the main event of UFC 232 this December 29 in Las Vegas, where he will rematch Alexander Gustafsson for the UFC light heavyweight title. As this mammoth challenge looms on the horizon, Jon Jones says he’s focused on living right and staying out of trouble. That means taking extra precautions to ensure he does not have any other issues with USADA . “All I can is try and do things right and be even more careful,” he said, admitting he won’t even accept a cup of coffee from a stranger. "All I can is try and do things right and be even more careful." 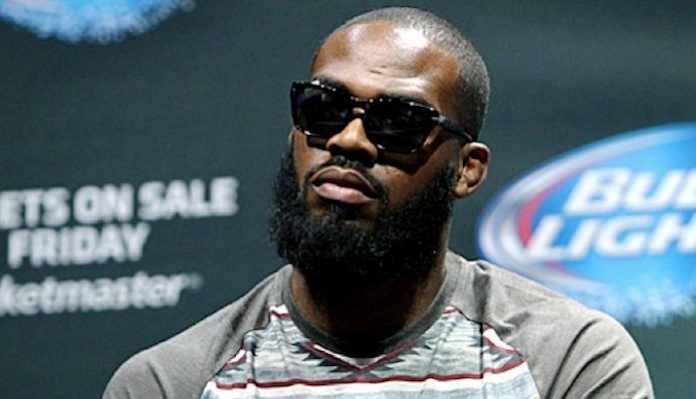 That said, Jon Jones admitted that he does occasionally relax with a drink or some marijuana. Needless to say Jon Jones seems to be on the right track. And if you don’t believe that, he’s not too bothered. “I don’t care whether people believe me or not,” he said. What do you think the future holds for Jon Jones as he gears up for his comeback?